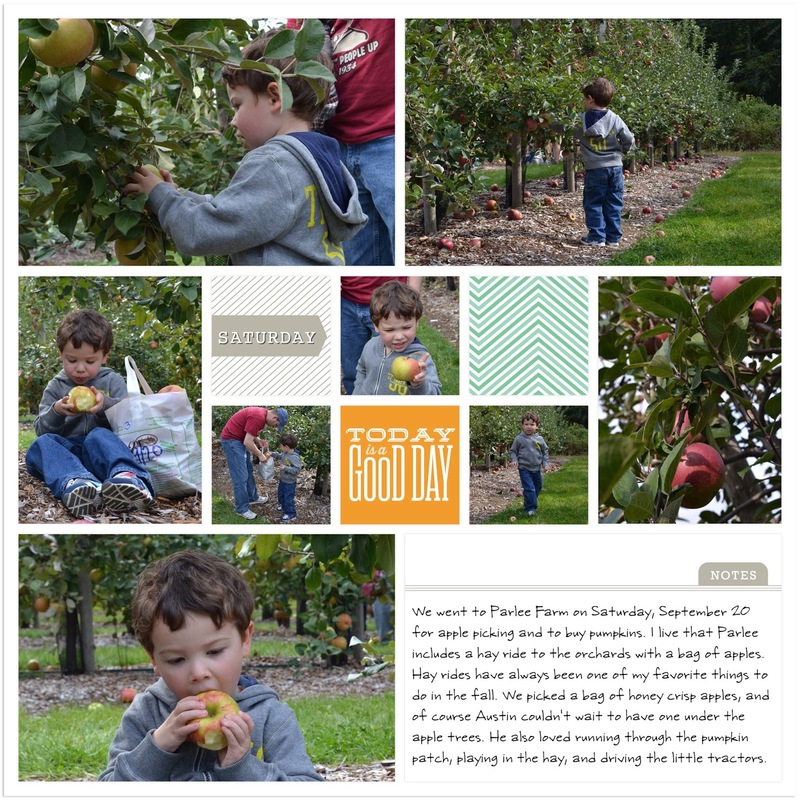 I made a full spread, and an insert, for our visit to Parlee Farms. 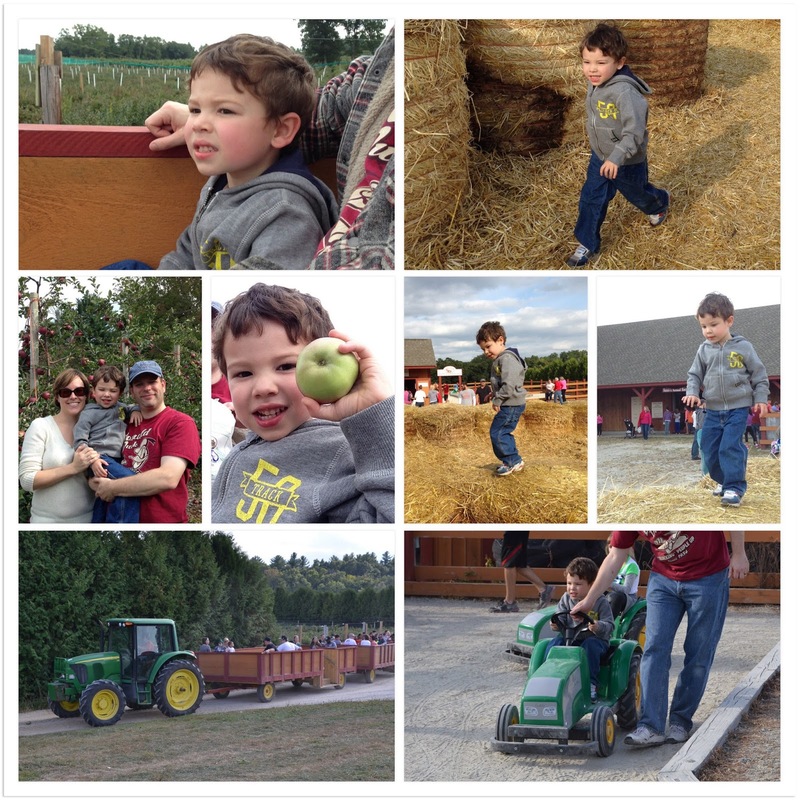 We spent a day apple picking and choosing pumpkins at a local farm. It turned out to be a beautiful day, and Parlee was a popular spot that day. I ran into my boss, and several other friends of ours were there the same day too. 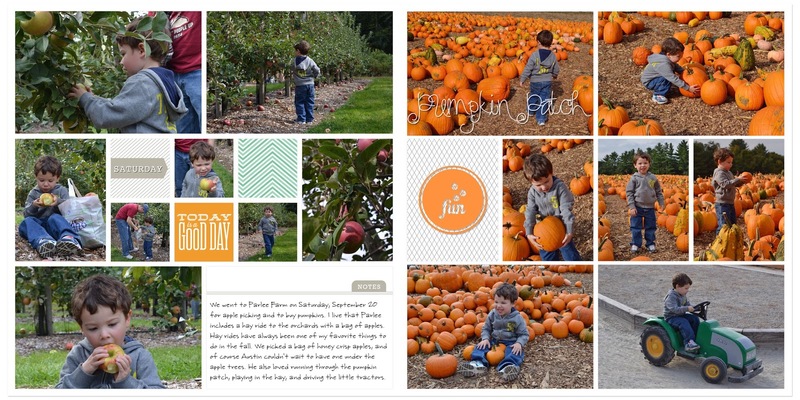 These pages use the Just Add Color edition, along with a card from the Everyday Adventure edition. Both are in-app purchases. 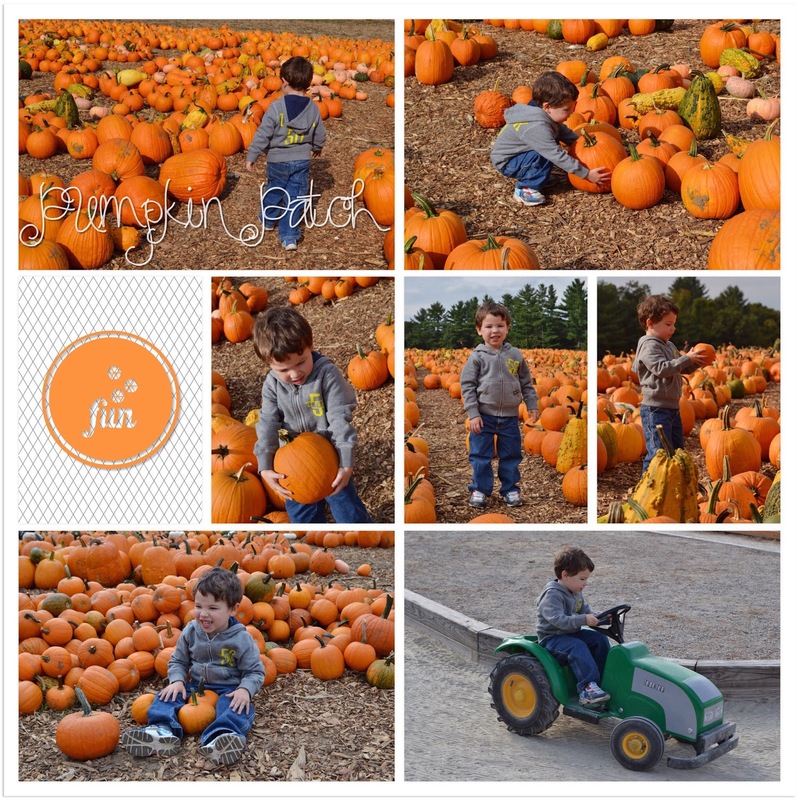 I added the Pumpkin Patch text, and the "fun" embellishment, using the Rhonna Designs app. I also have insert for this spread. A friend of mine on Instagram added some inserts to her 2013 photo book by printing the same page back to back, then trimming it in half after printing. It looked pretty awesome, so I decided to try it here. This is the full page I made within the app. 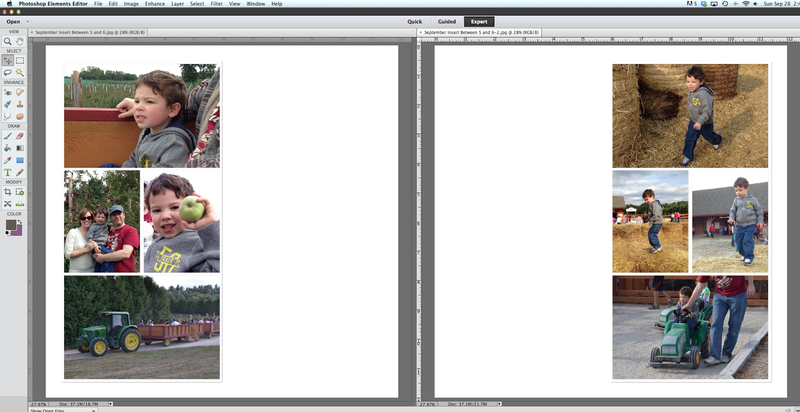 When I prepared my pages to add to Shutterfly, I split the layout in half, and I uploaded these two pages back to back. I could have just printed the full page twice, but since I like a wide border, I wanted to remove half of the page so I could trim with a wide border vs. a skinny one. 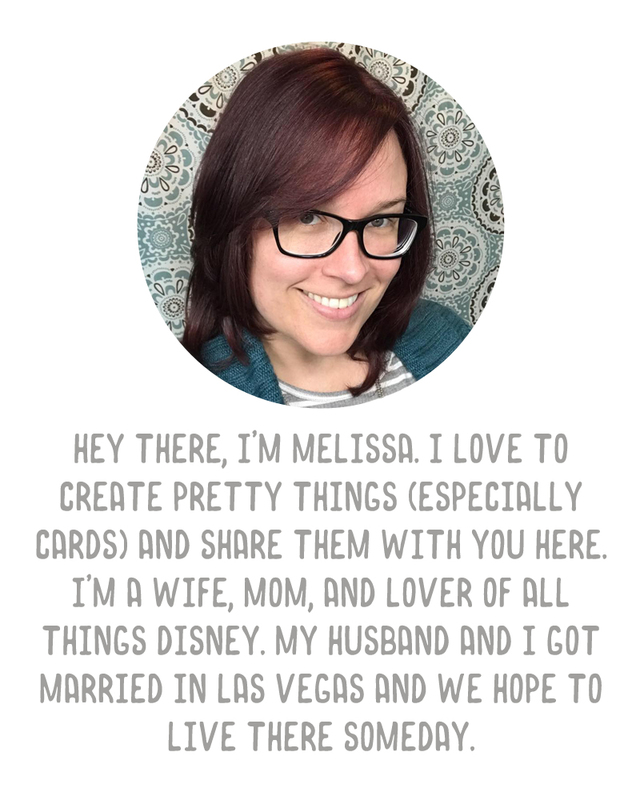 Really easy to do, and I can't wait to print my book and try this out.